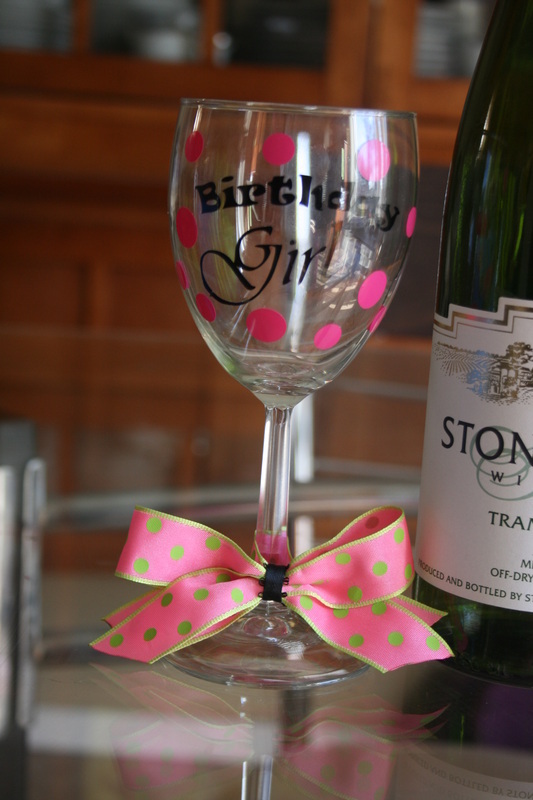 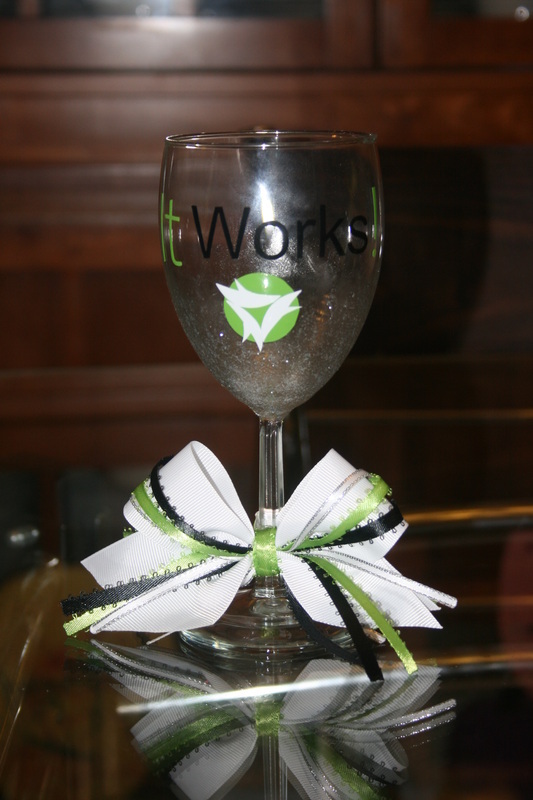 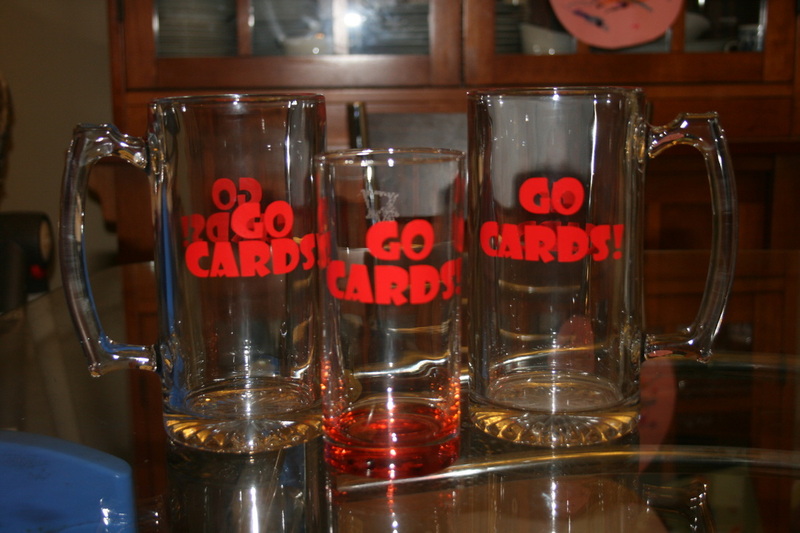 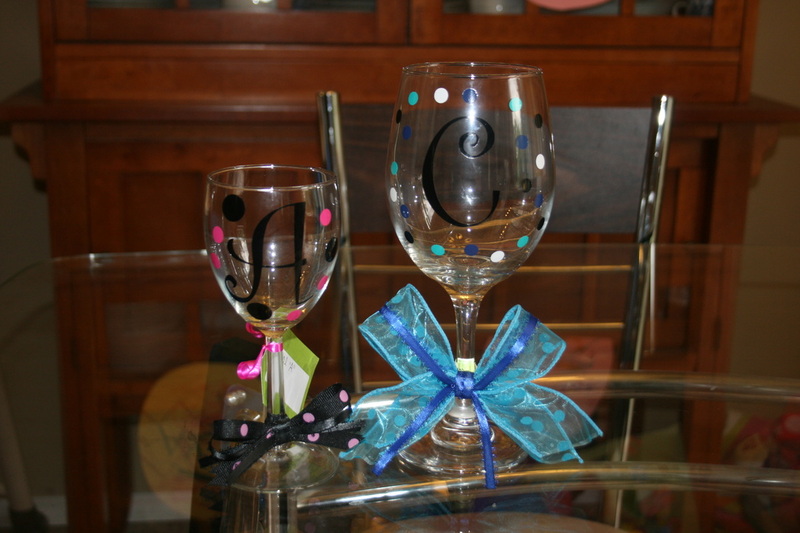 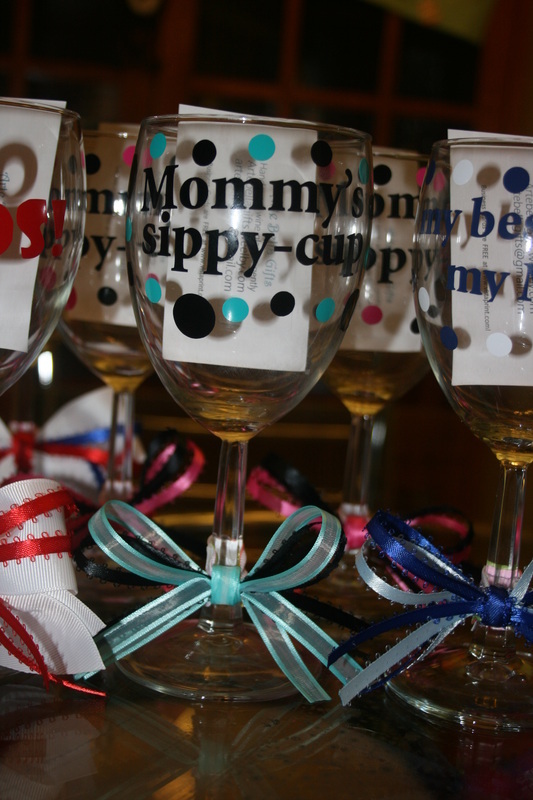 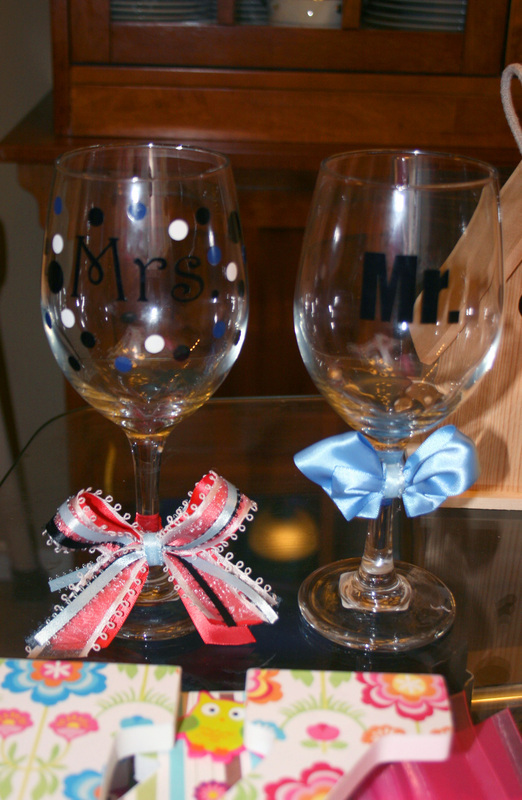 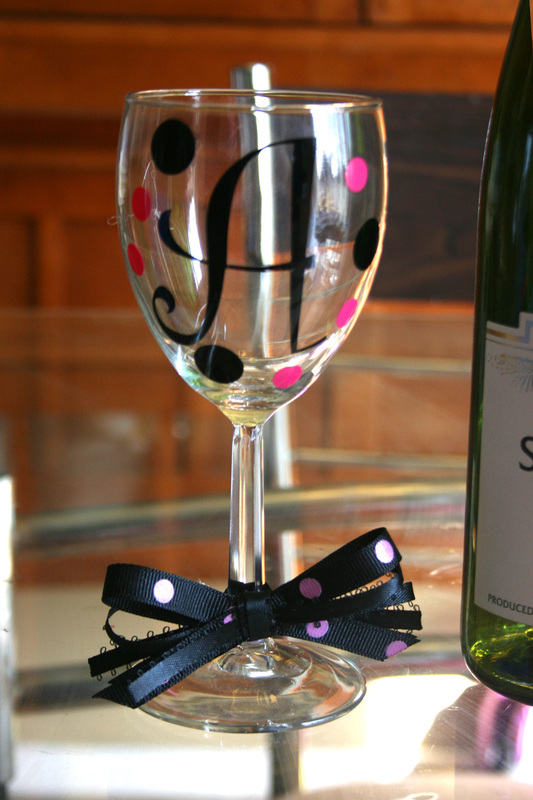 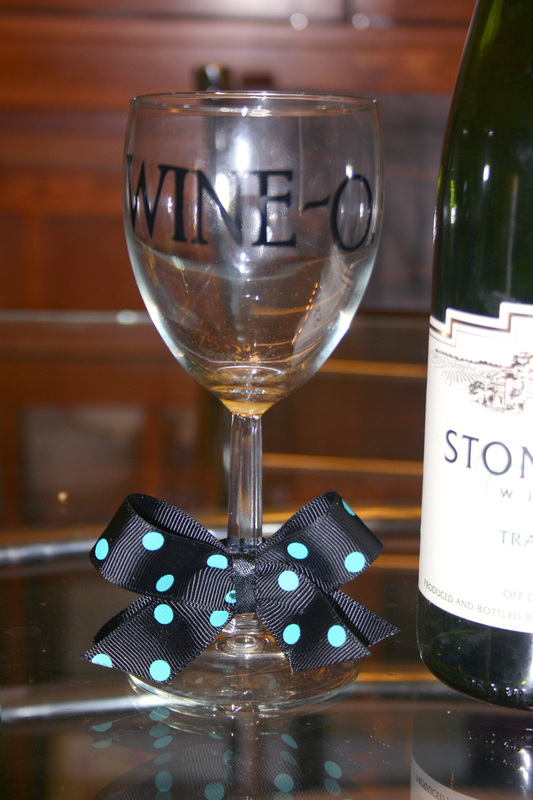 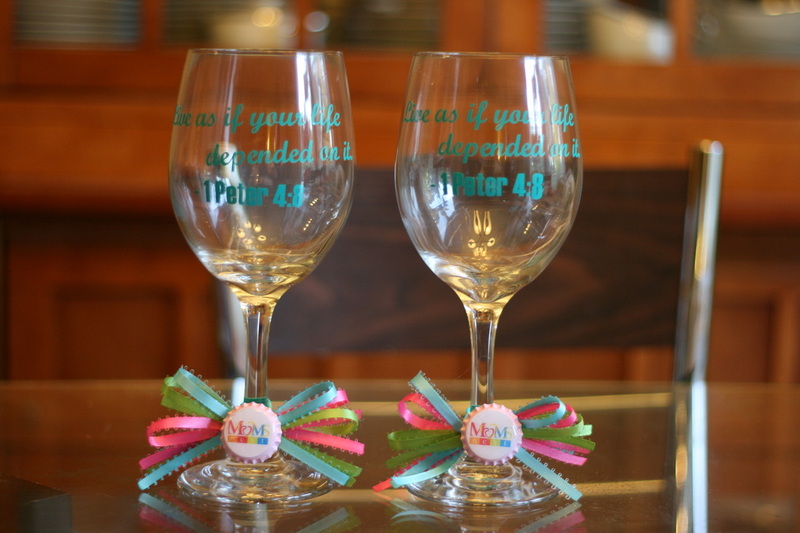 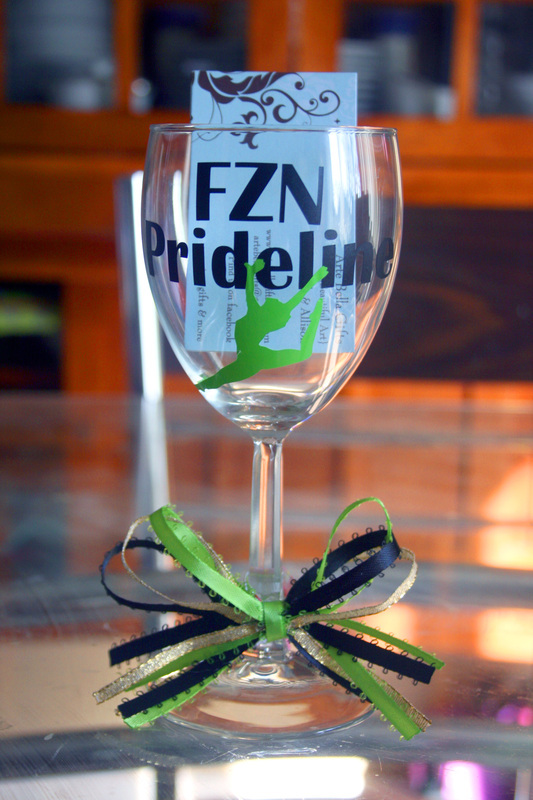 With glass designs for just about any occasion, our glasses make the most perfect gift! Visit me at any of my craft shows for these prices! You can pick up from my home in O'fallon, MO for these prices as well! 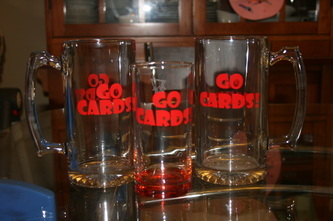 Pick up in O'fallon, MO or have shipped. 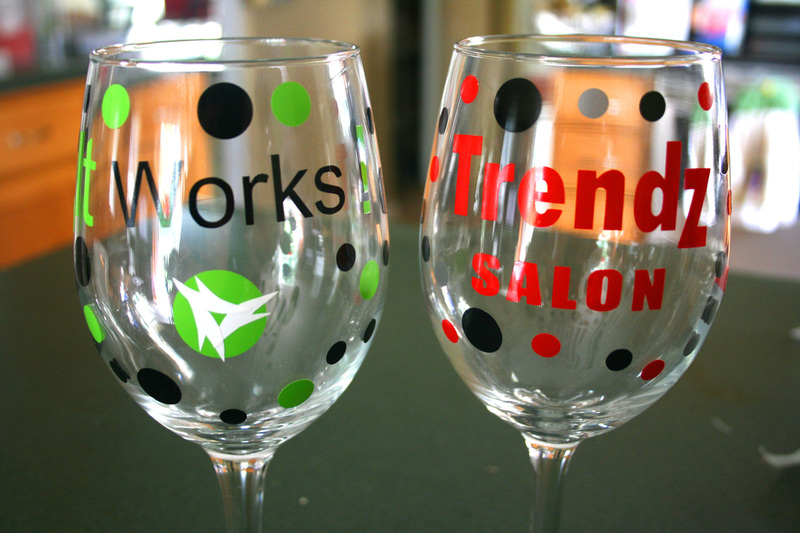 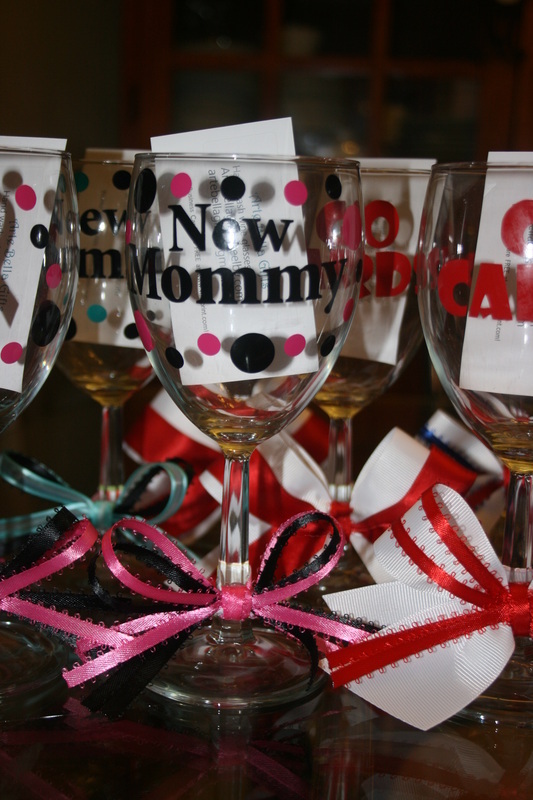 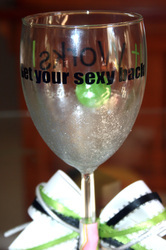 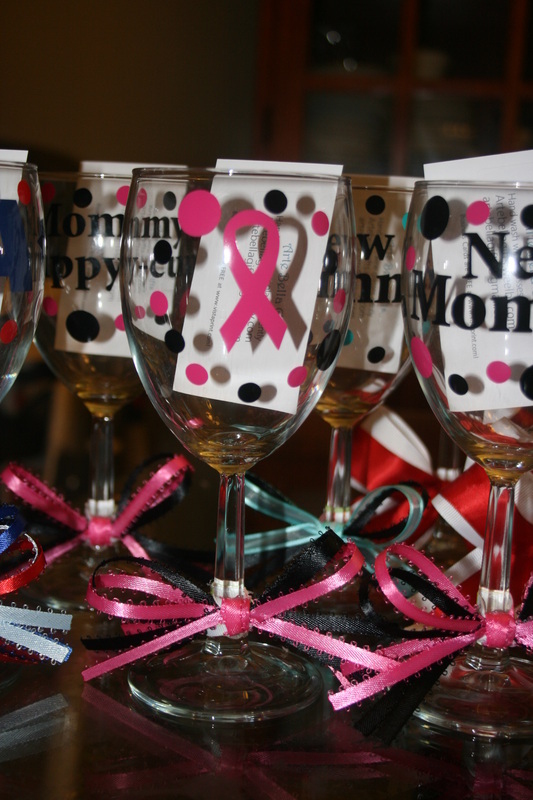 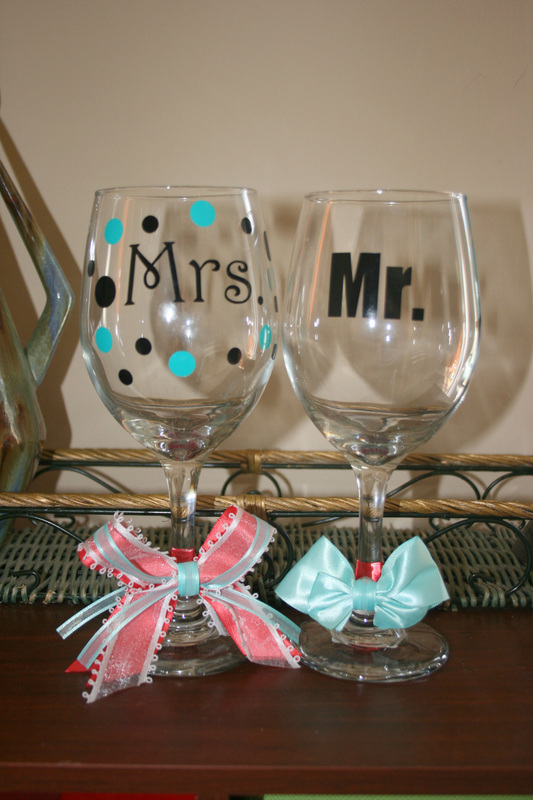 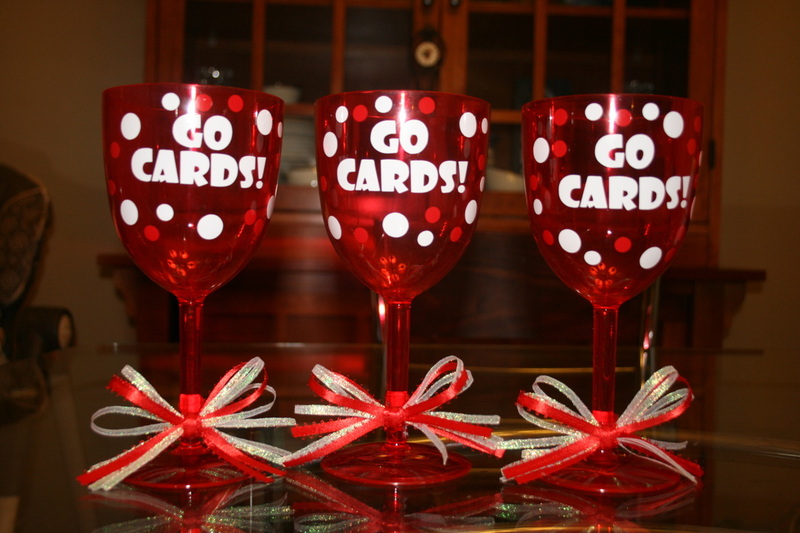 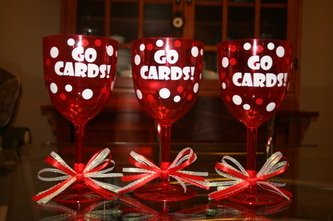 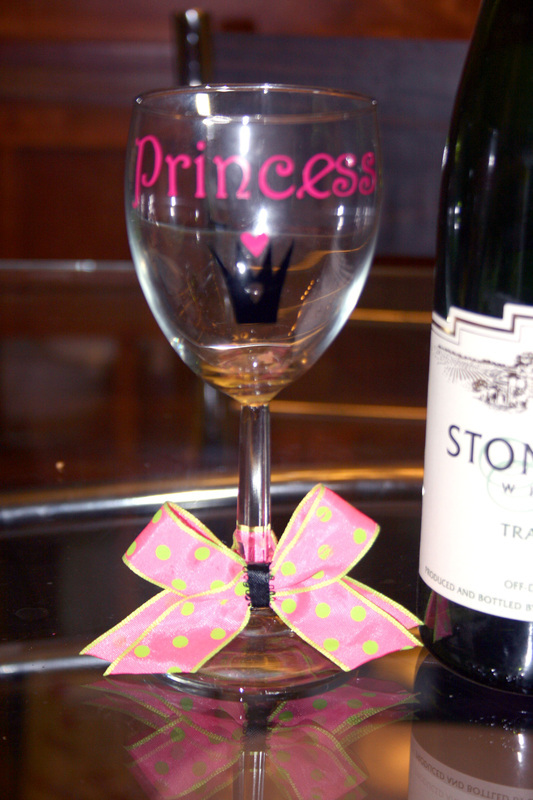 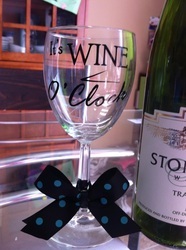 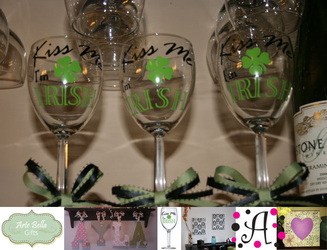 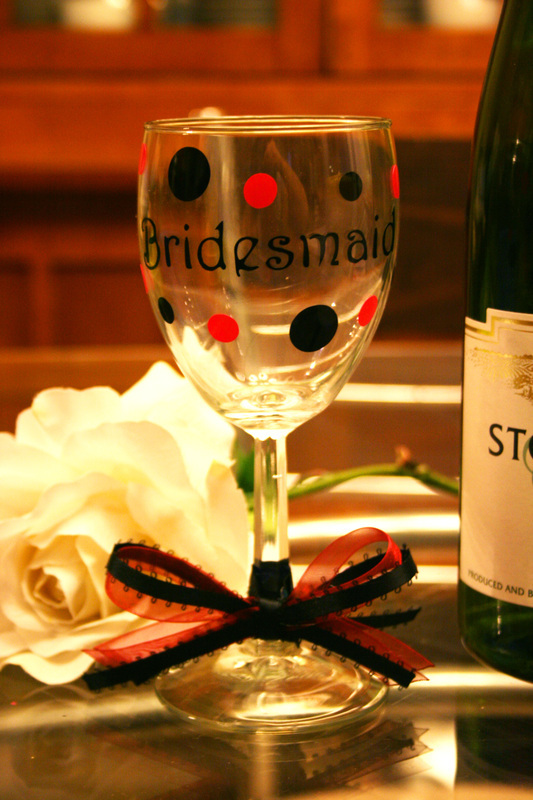 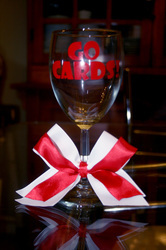 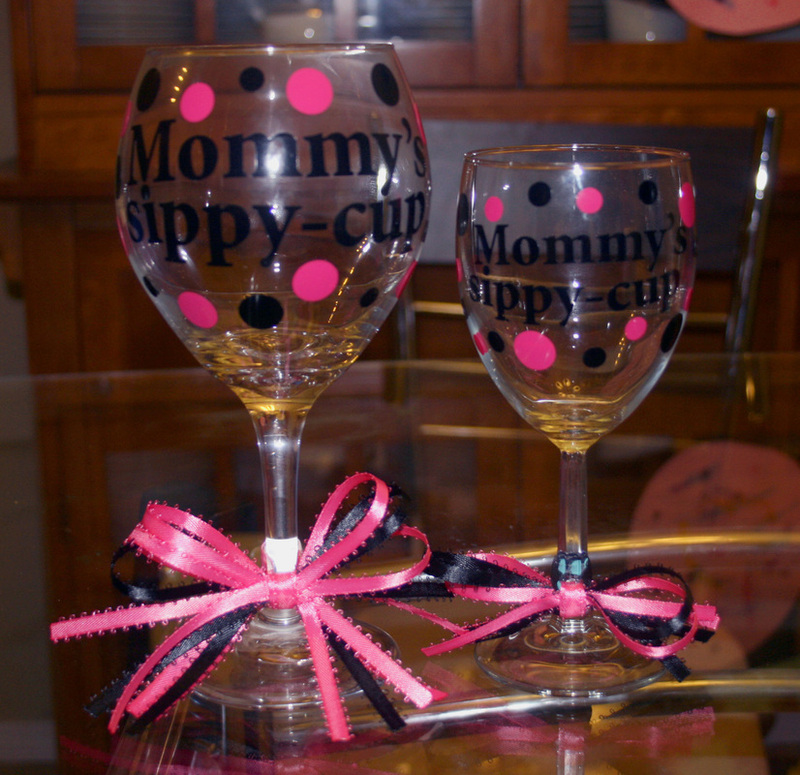 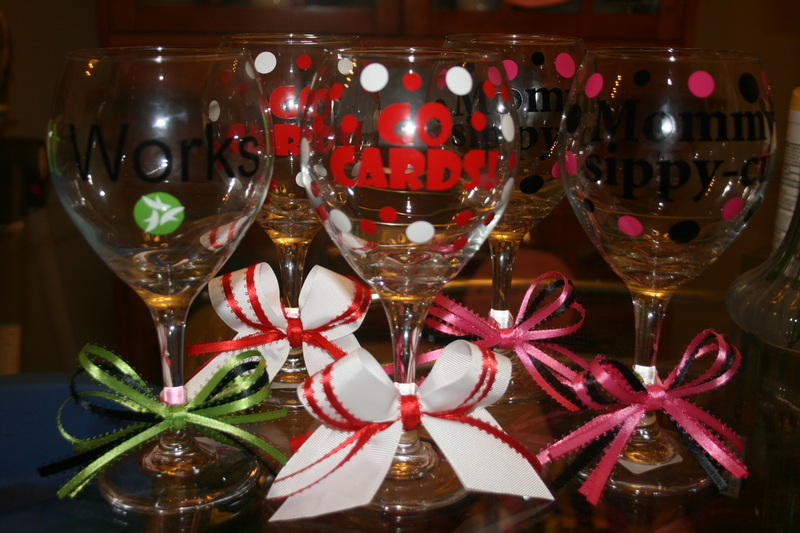 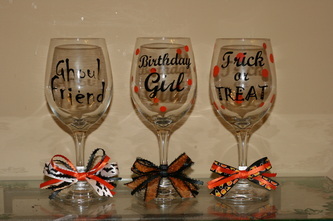 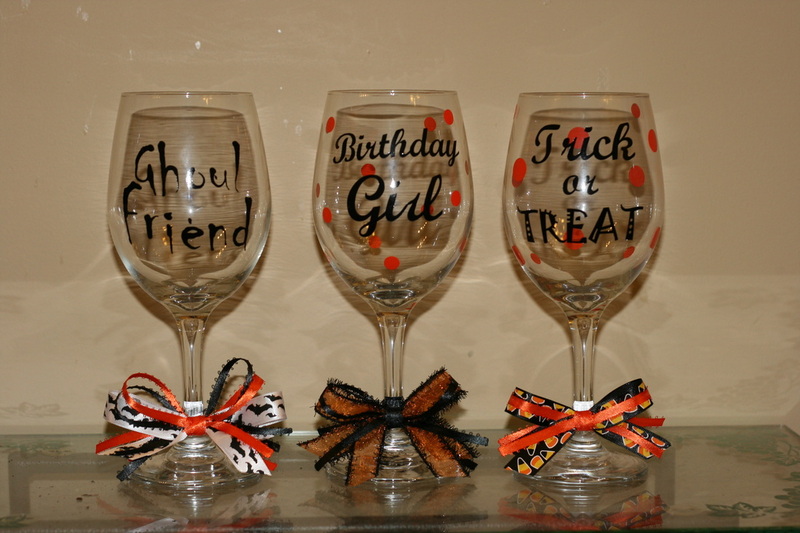 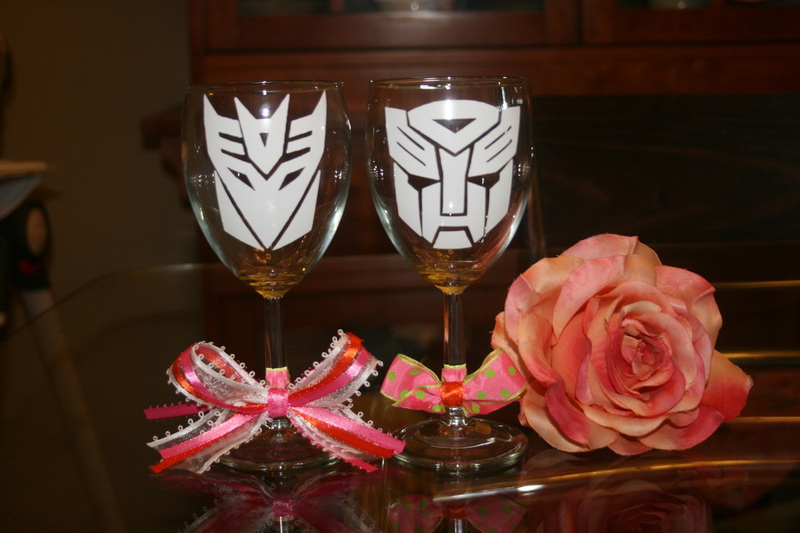 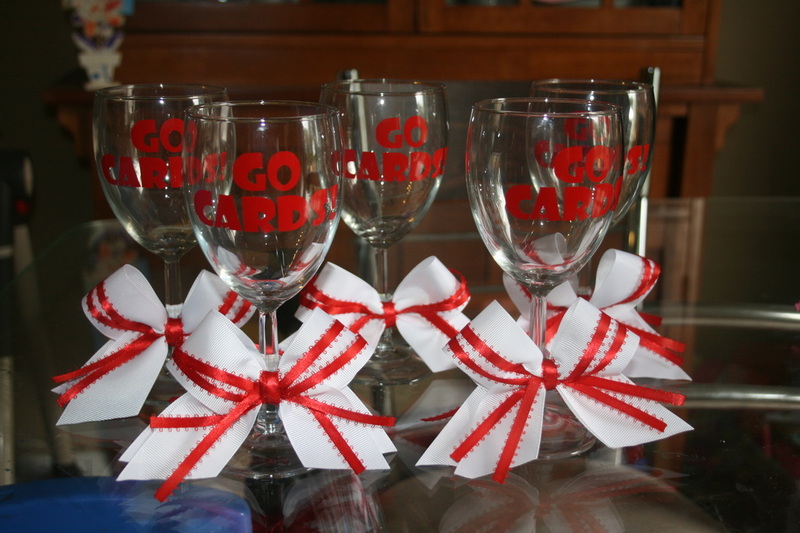 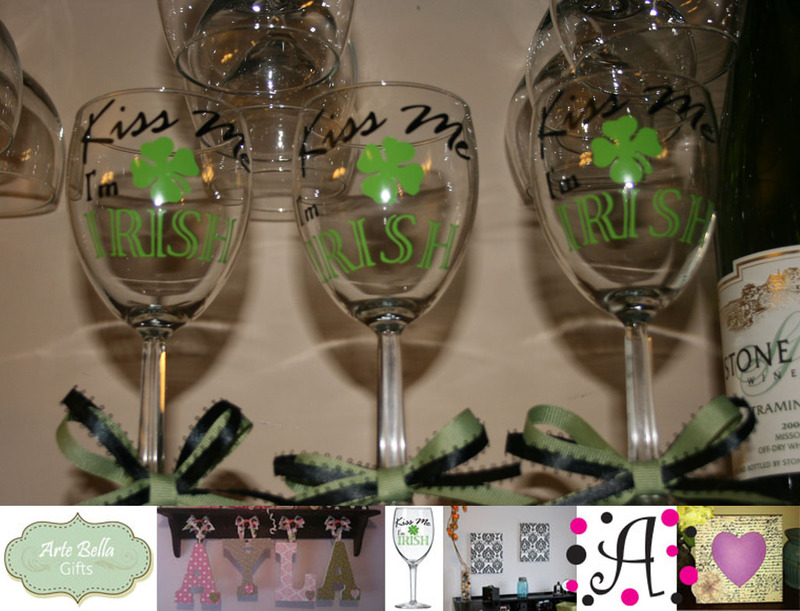 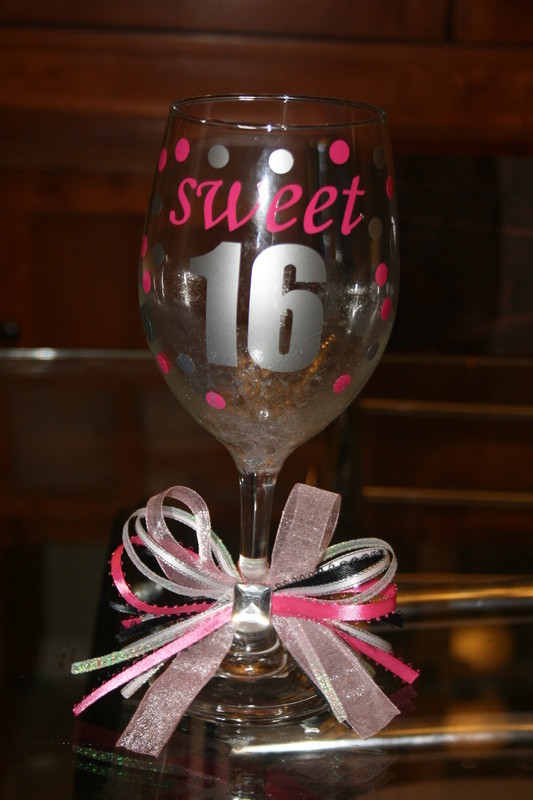 See more pre-made wine glass designs below. 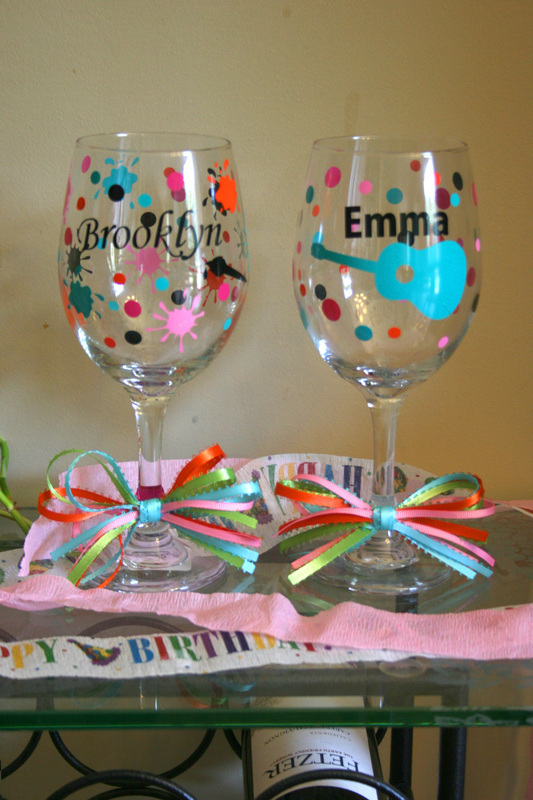 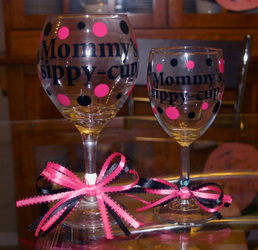 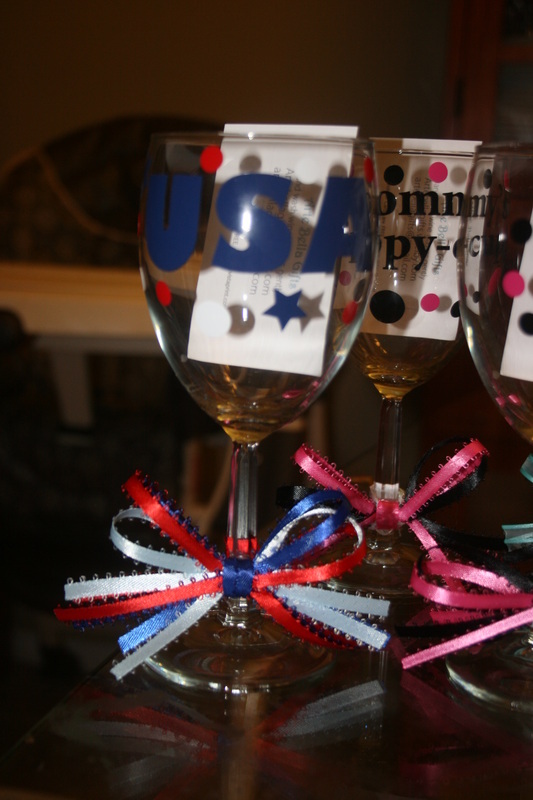 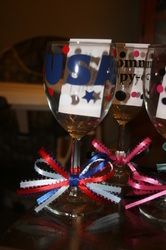 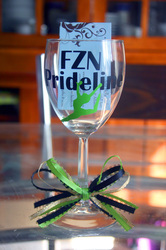 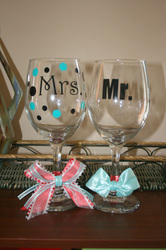 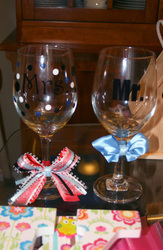 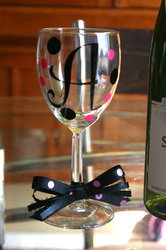 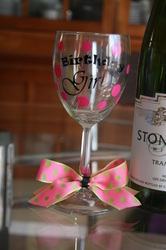 I can offer custom glasses as well! 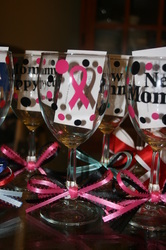 We are limited in the colors of vinyl that we have (black, lime green, hot pink, teal, white, red), but we can incorporate just about any color in ribbon. 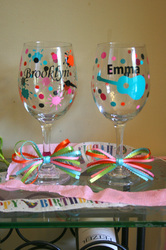 I can order any color vinyl for special jobs- but it will take a week to get in. 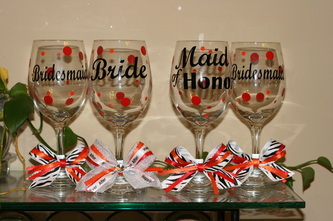 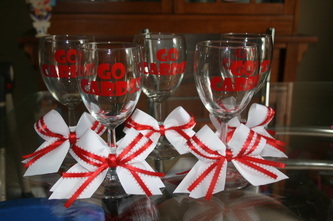 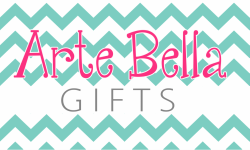 (Can work out a deal for bulk orders such as bridal party or wedding favors).